At Pioneer Community Kindergarten we pride ourselves on our child-lead program which encourages your child to develop in their own time and through their own interests. We also support this with structured learning to help the children meet their pre-Prep requirements. 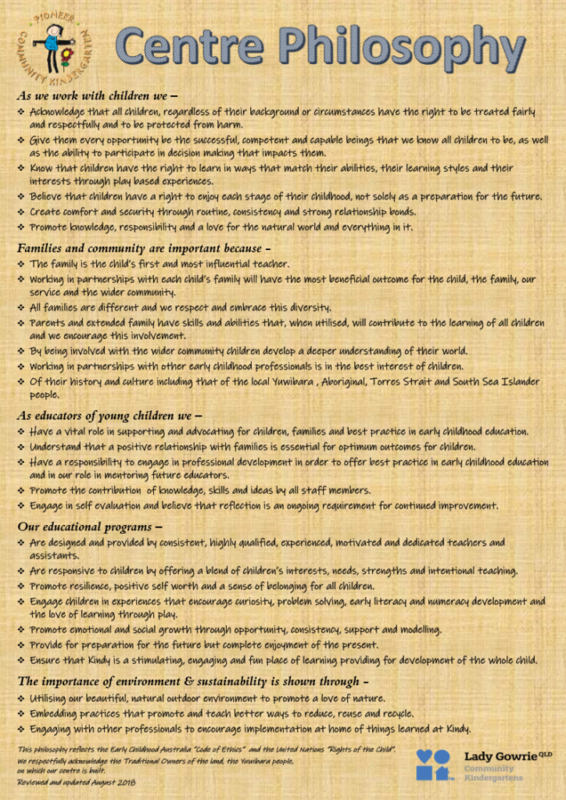 Our program is created in conjunction with the Queensland Kindergarten Learning Guidelines. We value the health and safety of our children, promoting sun safety, healthy eating and implement controls for children with allergies. Staff are well trained in first aid and fire safety and we also have Workplace Health and Safety Officers who address any safety concerns. Pioneer Community Kindergarten offers two well equipped and fully airconditioned units. The Units have been recently renovated with new furniture and fittings including the bathrooms. We have also installed interactive whiteboards to aid in the learning experience. 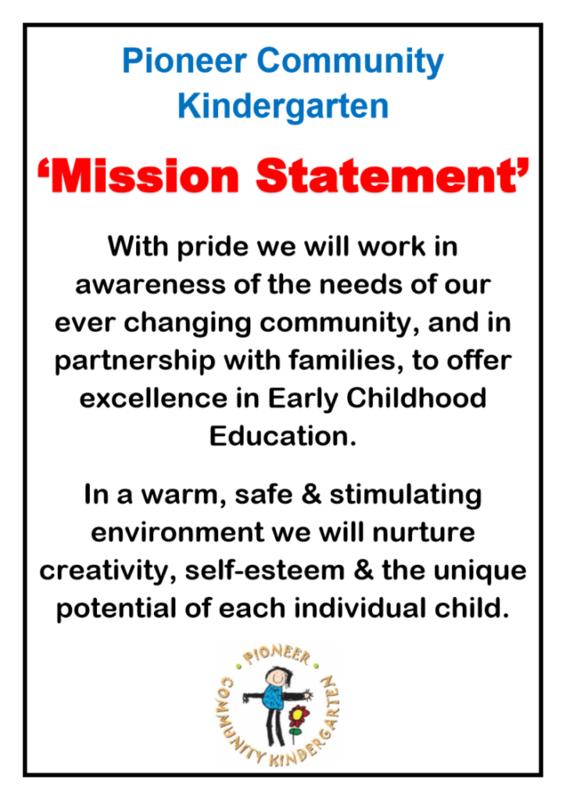 We boast the best backyard and playground area of any kindergarten in Mackay. We are very proud of our outside play area and the shed which is overflowing with all manner of toys and equipment for the children to enjoy. a parent roster whereby parents can join the group and enjoy the day with their child.